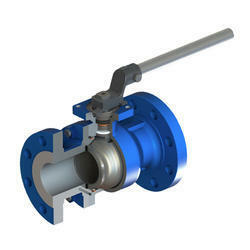 Providing you the best range of metal seated ball valve, wafer ball valve and wafer type ball valves with effective & timely delivery. SANKEY designs and manufactures metal seated ball valves with high strength stainless metal seats and balls over-layed with carbides. 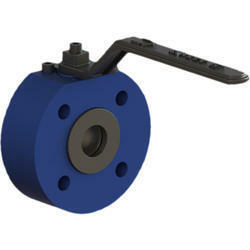 Metal seated ball valves are required for many extreme service conditions involving abrasives, corrosives, high cycle rates or extreme temperature and pressure. These conditions require simple, well-built but rugged designs, metal seats, rigorous testing and carefully chosen materials. Valves should be tested to nationally recognized standards and, then again, with in-house methods designed to simulate the actual process conditions. Hot hydrocarbons /scaling carbonates /fractionator bottoms /power applications /steam /catalyst withdrawal /fly ash /corrosive slurries / acidic slurries. Duel stem bearing design reduces side thrust effect on stem, ensure uniform torque and smooth operation. Body and seats lapped and matched optimum performance. All valves with graphite packing and backup seal, and valves are fire-safe tested.